Lost Prairie Farm, LLC - Cows Happy cows! At Lost Prairie Farm, we breed our cattle for sound temperment, easy calving, strong maternal traits and easy keeping. 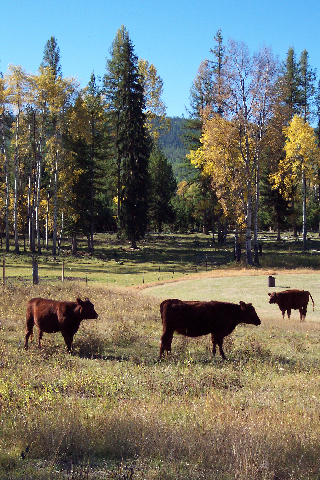 Our cattle are not fed grain and do exceptionally well on natural forage in the summer and grass hay during winter months. 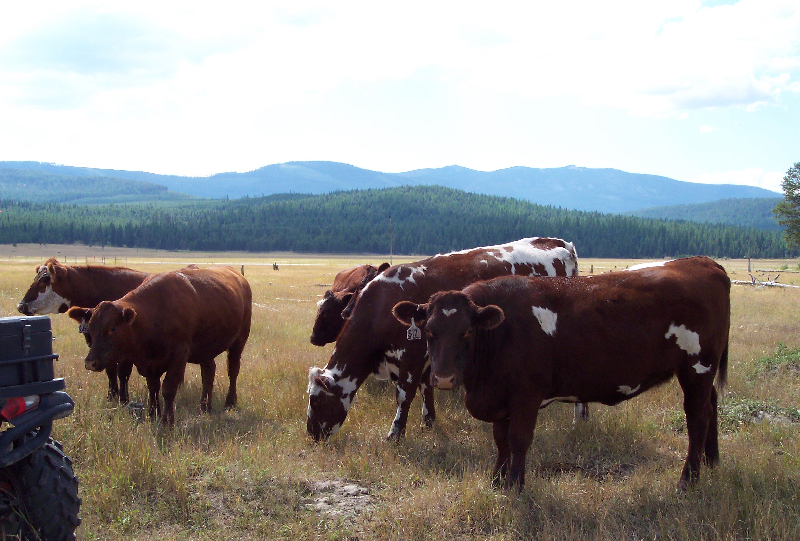 Our Shorthorn cattle are Montana hardy! When you visit Lost Prairie Farm, the girls would love for you to stop by the pasture and say "Hi". 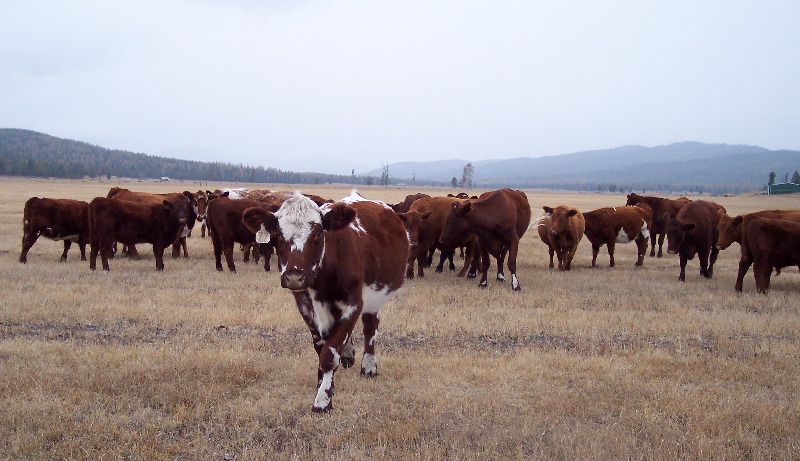 Lost Prairie Shorthorns are purebred registered American Shorthorn cattle. We also breed Shorthorn Plus. 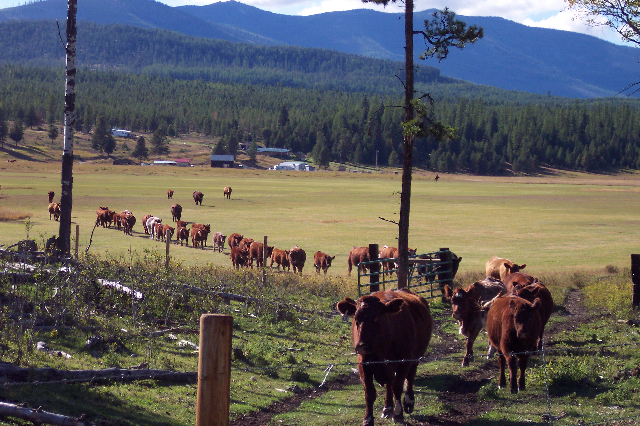 Our cattle are grass fed and natural -- no hormones. 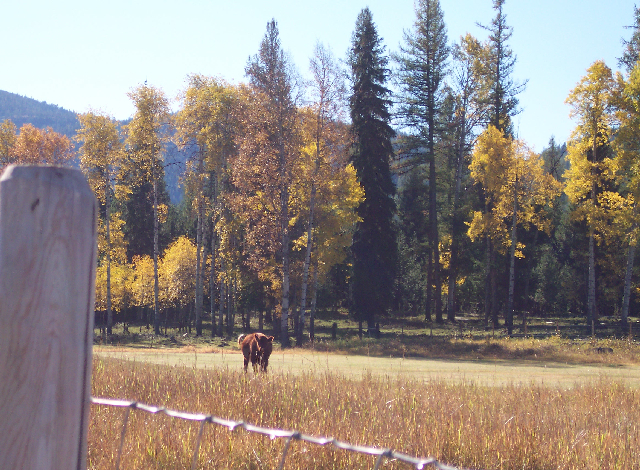 We produce our own hay and bale in rounds for cattle and small squares for goats and horses. Their diet is supplemented with protein tubs during winter and calving season. We do not feed grain.